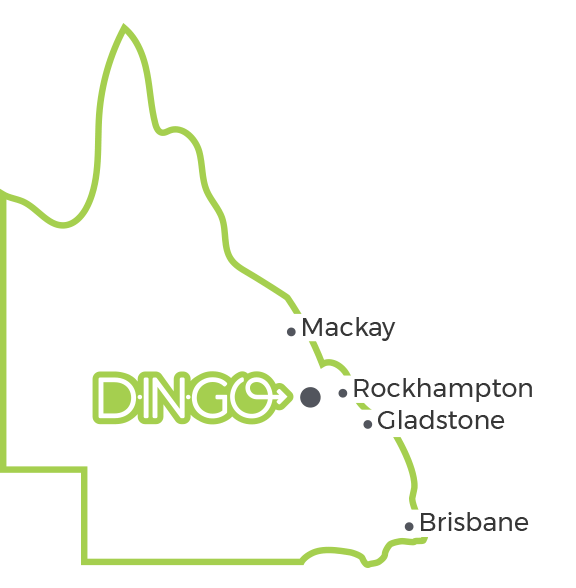 The Dingo Roadhouse is located on the Capricorn Highway in the Township of Dingo. The roadhouse has proudly served locals as well as Truckies and passers by for many years. Situated 149 kilometres West of Rockhampton and 120 kilometres East of Emerald, the Roadhouse is well placed to service the fuel, rest and refreshment needs of thousands of customers each day. The Dingo Roadhouse offers all of the services you would come to expect from a Roadhouse. Yes, we do have shower facilities as well as rooms for those who might wish to get a decent nights sleep after a day on the road. We also offer a fantastic range of meals to go, or if you prefer you can take a seat and enjoy your meal in our restaurant area.